appear to be more of a nuisance due to their awkward calibration and erratic stabilization. 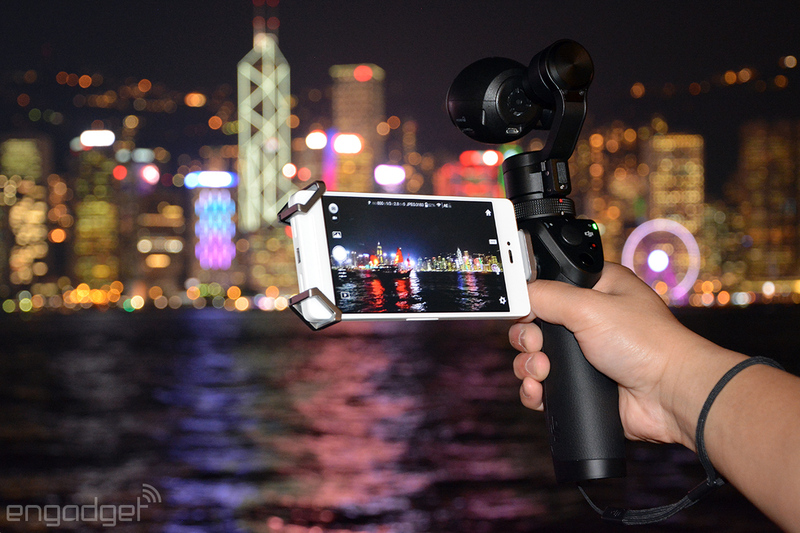 So unless you’ve tried one and are certain that it works well with your phone, your best bet is to go with a dedicated camera gimbal. 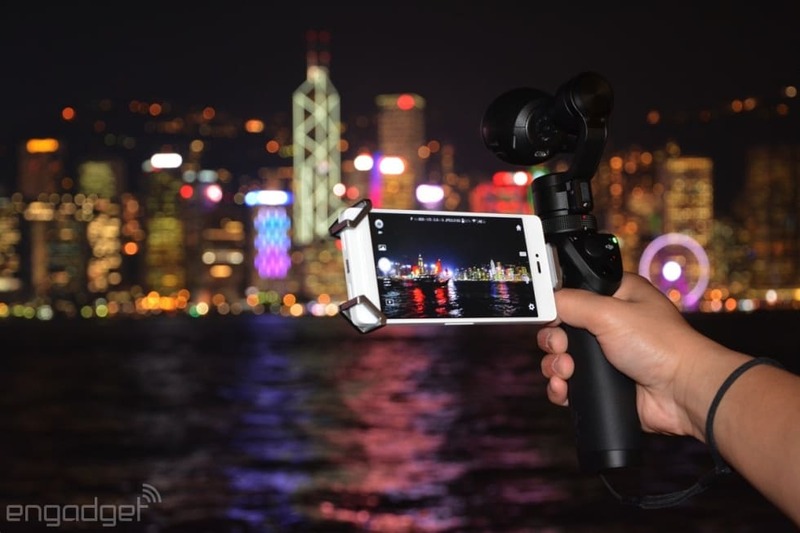 DJI’s latest creation, the Osmo, features a 4K camera module similar to the one on the company’s flagship drone, the Inspire 1, and it can house your smartphone as a viewfinder on the side. 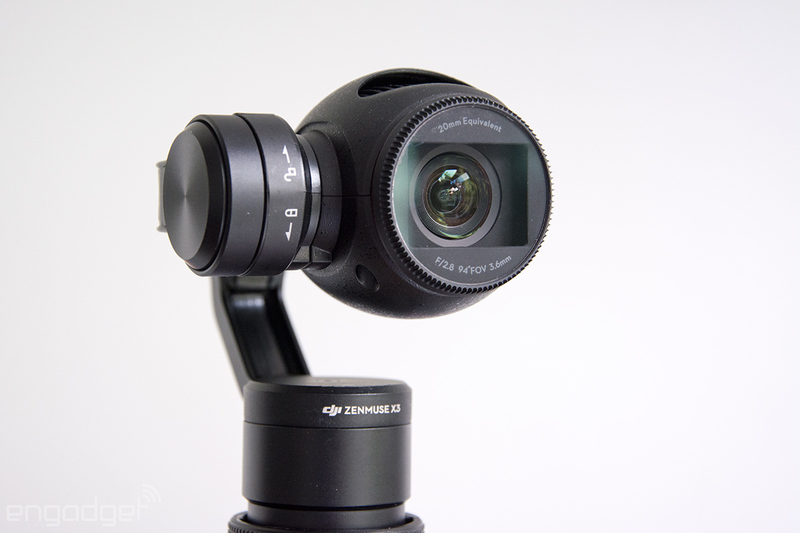 But it isn’t just about the hardware, because like the company’s drones, the Osmo also has a full-featured companion app for greater versatility. Let’s see if this fancy package is worthy of its $649 price. <ahref=”https://www.sdcard.org/consumers/speed/speed_class/”>UHS Speed Class 3 card with our review unit, and it’s worked well for me so far. 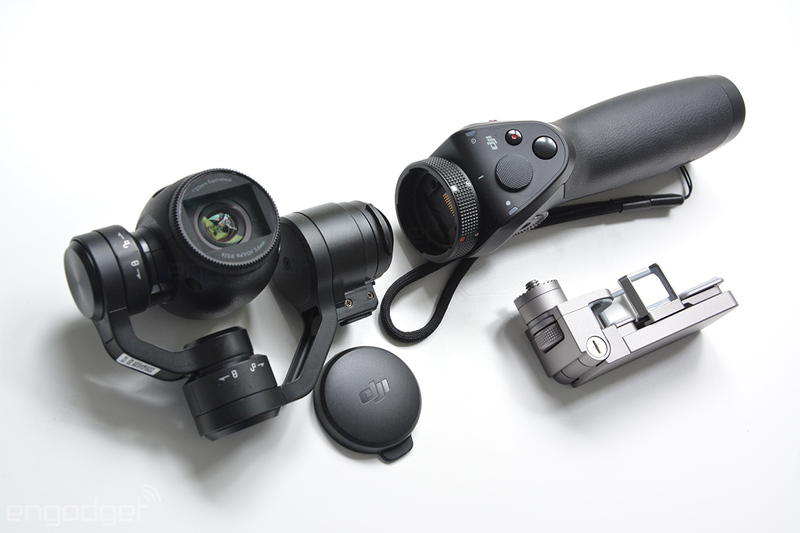 orientation of its tilt motor and other small changes inside the camera and gimbal. 6s Plus will fit just fine, although it may be a struggle if it’s in a thick case. nice segue to the next section of this review. 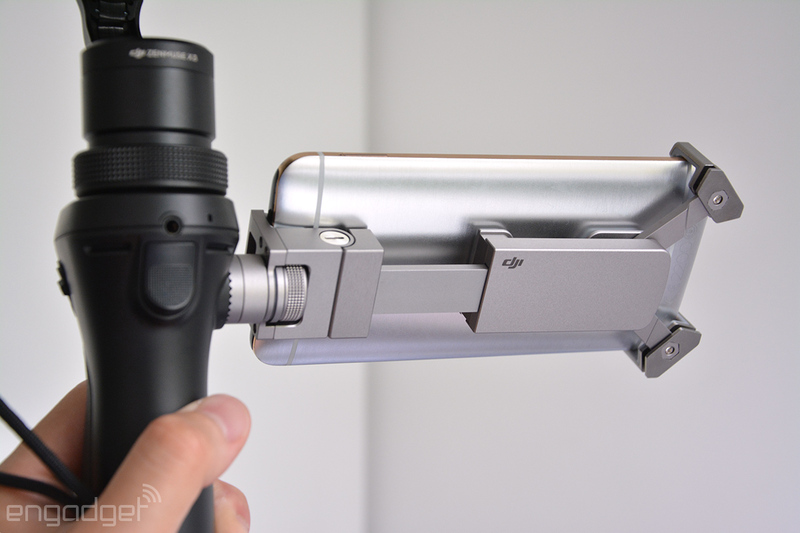 Osmo, connect your phone to the gimbal’s WiFi hotspot and then launch the app. 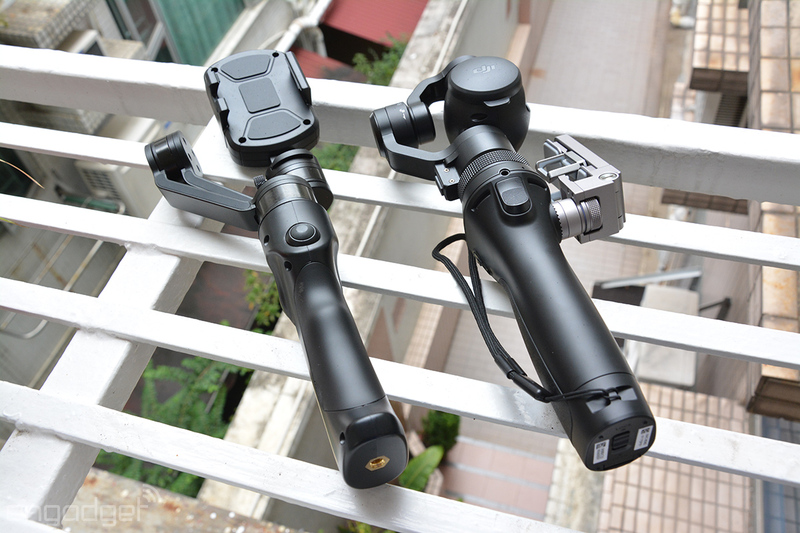 reference point, or hold down and move your finger around to control the gimbal. 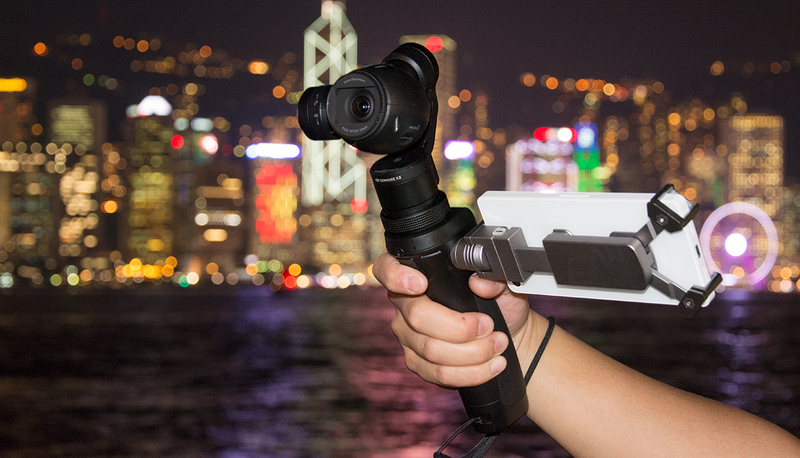 capture mode you desire using the buttons on the Osmo. coming from a hand-held device, this is pretty amazing. poodle when he ran around me, which you can see in my sample video reel. size of less than five inches, which is becoming a rarity in the Android world. use it with the drone’s camera. That’s not a bad way to make the most out of your $2,899 drone purchase.